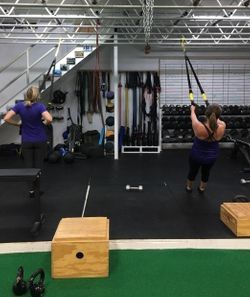 Peak Fitness is a Moose(L)-Up program designed for adults of all fitness levels that want to look good and feel good without the stress (of having to plan a workout and how to use the equipment) that can come with a commercial gym. We can meet your needs in one-hour sessions. Training will be fun, dynamic, and leave you feeling more confident, stronger, and energetic. With our full-body functional training approach, you will improve your balance and physique as well. 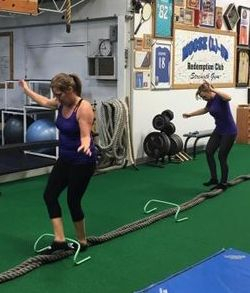 We offer a variety of different ways to participate in our fitness programs. The first session is a 1-hour private assessment between you and one of our excellent coaches. We don't just look at your weight and BMI… we take a multifaceted approach to your overall wellbeing to achieve LONG-TERM results! Do you have another friend or two that wants to have fun, get sweaty, and stronger? Text or email us to set up a time! Do you have three or more friends who want to move and groove with you? Text or email us to set up a time. For those who just need a plan to follow.